On the back of Kat Leyh’s wonderful new comic SuperCakes, it says this book “touches on topics most ‘capes and tights’ comics wouldn’t even fly near.” I assume this has to do with the central relationship Leyh explores in this book. While operating within the “punch em in the face while quipping” superhero overlay, SuperCakes is really a book about May and Molly and their budding relationship. 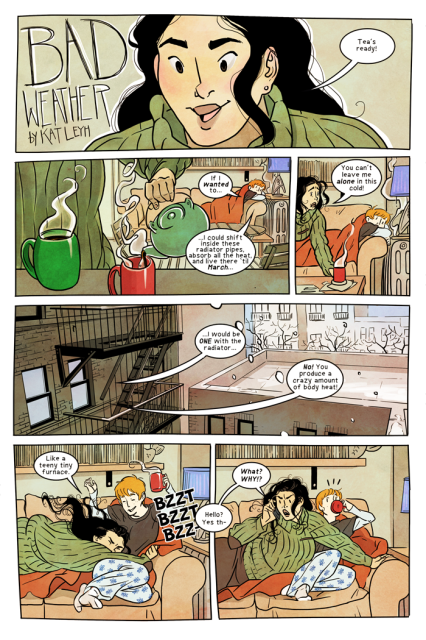 May and Molly are in the early stages of falling in love and, in a way, their superheroic team-up reflects the bond they are building as they become vulnerable to each other. May is the character more comfortable in herself and her sexuality, and, as Tank, her powers are “super-strength and a degree of invulnerability.” She solves her problems head-on, not shying away from conflict or judgement, caring so little about what others think of her that at one point she even wears a knit hat shaped like a cupcake on her head as she fights an invasion of ice-monsters wrecking her city. Molly, on the other hand, is seemingly younger, not yet fully accepting of who she is, slightly ill at ease with her role in the world and in her relationship with May. Her shape-shifting powers metaphorically reflect the nuances and subtle actions of a young woman unsure of herself coming out to the world and committing to love. 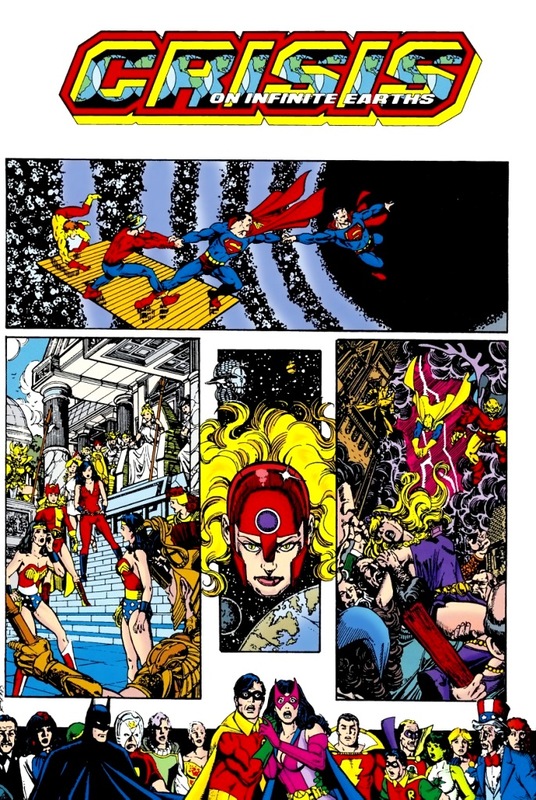 But she can absorb energy, subsume blows and explosions, and use that which is directed against her to become stronger and turn it back on her enemies. And that, in and of itself, is a dynamic statement. Both of these women are empowered. Leyh makes that clear by not only casting them in the trope, but also by carefully choosing how they operate within it. Their relationship with each other is easy, gentle, and loving. These characters serve as role models certainly in terms of their heroics, but also in terms of how relaxed and attentive they are with each other. SuperCakes is positive, fun, engaging, and inspiring. 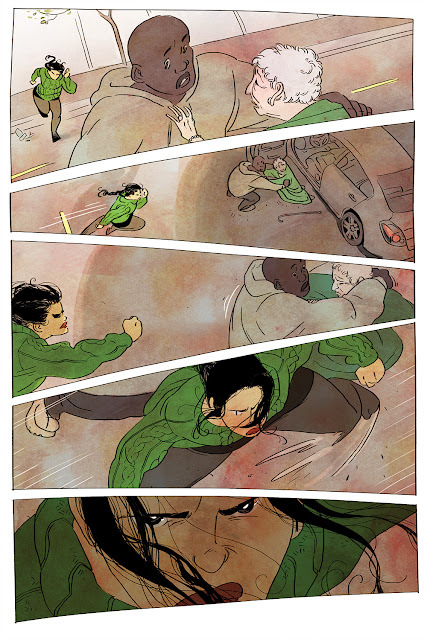 Leyh shows that issues of racial and sexual diversity don’t have to be shoehorned into comics as if they are something added on in hopes of placating naysayers or tapping into a market. 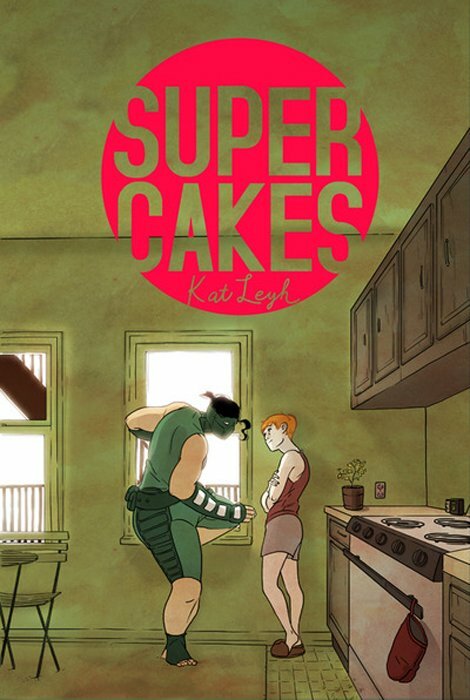 SuperCakes succeeds because, although it is about superheroes, it is about real people first. You can grab a copy of this great book here. 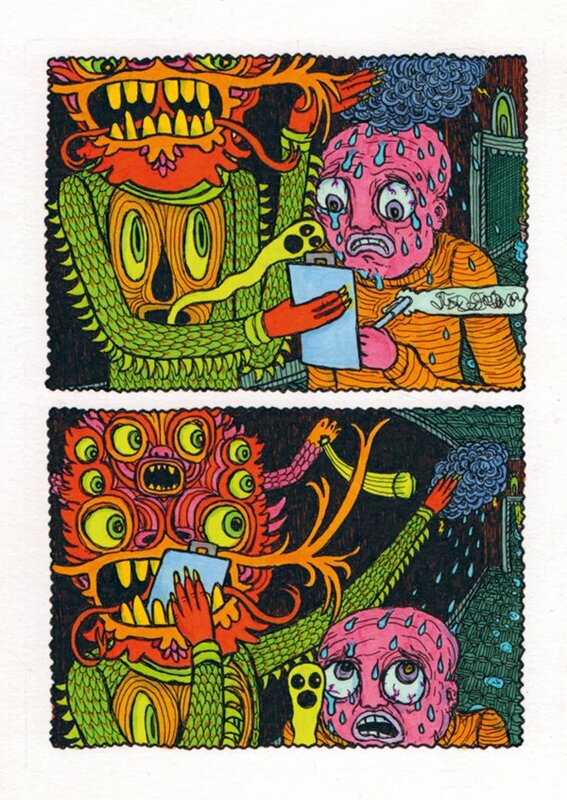 Nothing makes more sense in the world than Theo Ellsworth being published by Latvian publishing house kuš! komiksi. Kuš! komiksi has been putting out wild and beautiful mini comics and larger anthologies for years now that have explored the edges of what is possible in comics, while introducing and celebrating some of the very best artists working in the medium. 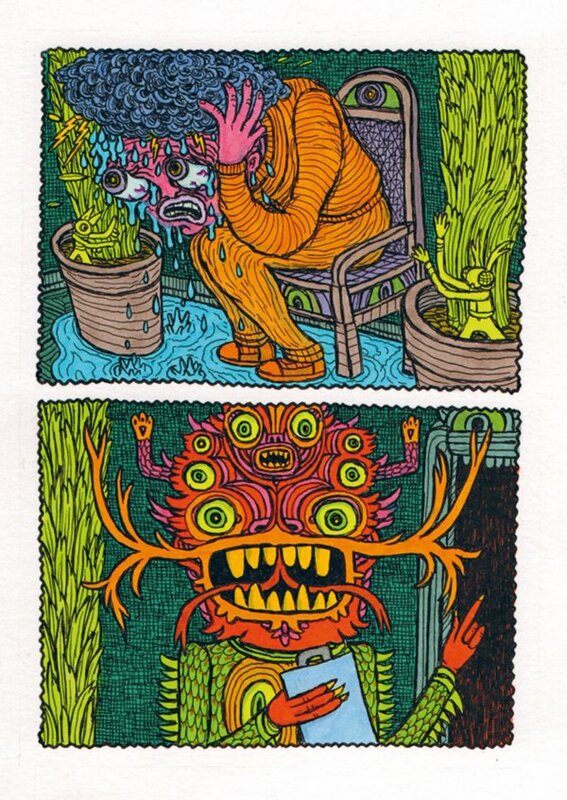 The last time I wrote about the work of Theo Ellsworth, I said, “Structured logic comes unglued quickly in Ellsworth's art, and it's not fully replaced with a primal or visceral understanding either. Rather, it demands a different way of interacting with the material.” Ellsworth produces comics that are unique. Books which burrow into your soul as only something completely new to your experience can. 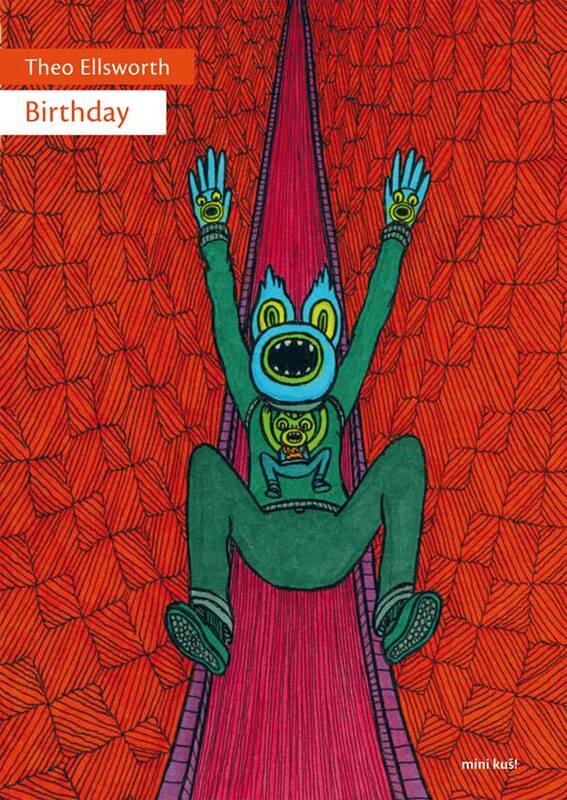 Birthday is what happens when you combine the editorial freedom of a publisher like kuš! 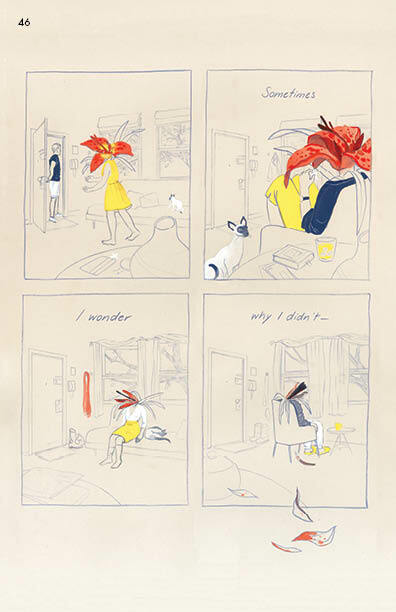 komiksi and the purity of vision of an artist like Ellsworth. It explodes into being like a new universe is being created, and the ripples unleashed by it embrace you with beauty and with truth. What Ellsworth is able to accomplish in his art is project this experience directly into his audience. His tightly detailed and intuitive colored panels and pages transcend the paper they are printed upon and become an emotional energy that pushes into the heart of his audience. Your brain doesn’t process Birthday in a logical way. It makes sense of the narrative in an ecstatic and emotive understanding that is primal and holds you in an almost panicked state until the cathartic release at the end. Ellsworth’s books are satisfying in a way no others are. They are psychoactive and to read one is to go through an experience that, while you are engaged in it, trips your vision into some other plane as if you have detached from the world around you. When you are done, though, and you return to your day-to-day, you carry with you new possibilities for seeing the life you have been living all this time. You can pick up a copy of Birthday here. America is a country founded upon dreams of the impossible. For all its faults, there has always been an undercurrent of optimism and a belief that a fabulous future is just around the corner for everyone. This attitude has been responsible for all sorts of innovations and understandings that push us forward towards some brighter day, the green light, the orgastic future. But this perspective has also been the fecund loam from which, throughout history, hucksters and charlatans have sprouted and thrived. 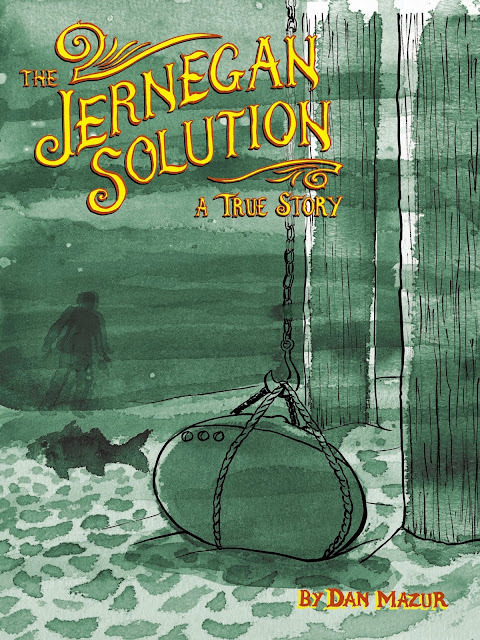 Dan Mazur’s The Jernegan Solution tells the story of this juxtaposition between American idealism and Americans who feed upon it. 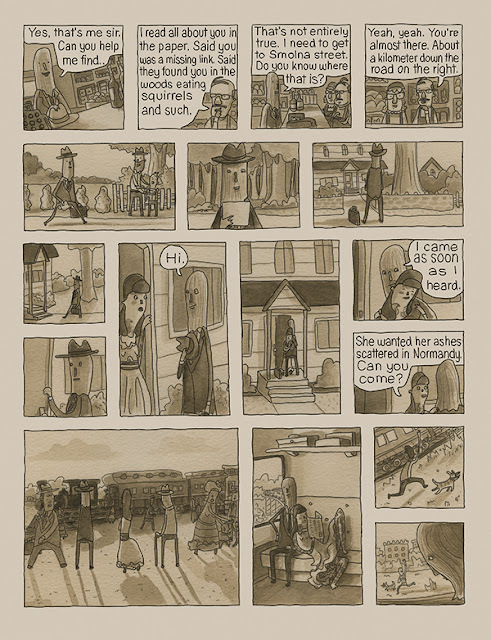 The story is told through the eyes of a fictionalized newspaperman, a narrative choice that allows the reader access to an objective recounting of the events that took place at the turn of the 20th century in this small town in Maine, but also gives Mazur space to editorialize without any sort of condescending sermonizing. The reader gets caught up not only in the events as they unfold, but also the optimism of the narrator. It’s a perfect choice for the story, adding an emotional depth to its reportage. Mazur’s research and attention to detail in his art bring the story to life, placing the reader in this specific time and place. For those with a passion for this time period, it tickles that historical curiosity perfectly. Mazur has infused this story with heart, even though its subject matter opens up much darker territory. As much as we like to think of the American character as idealistic and bright, we also know that so much of our history is dotted with people who prey upon this for their own gain. The Jernegan Solution is a reminder of this and Mazur has brought this little known bit of history out of the depths and into the light at just the right time -- a time of presidential campaigns where we once again start thinking about the direction we want our country to go and who we believe will best take us there. You can pick up a copy of The Jernegan Solution here. Let’s face the truth. We are constantly making snap assumptions about people based on appearances. It happens all the time. In an instant. Read that again. A tenth of a second. The reasons for this are myriad, but most of the research points to that basic survival mechanism constantly operating subconsciously in all of us. We need to decide as quickly as possible whether or not this individual may be the one who is going to shove an ice pick in our eye socket, and, if so, we need to be prepared to engage in either fight or flight. The truth of this instantaneous impression making, though, has led to a number of home-spun fire-side adages like “never judge a book by its cover” or “all that glitters is not gold” or “there are daggers in men’s smiles” -- we know that sometimes our initial assumptions about people can be wrong, sometimes dangerously so. Although, on second thought, he may be exactly what we think he is. I promise I will get to the point, the review of Pat Kelley’s wonderful new book Fedor in just a moment, but indulge me just a little bit further first. I kind of remember her expressing disappointment when we found out that the only “freak” at the show that day was the Smallest Bearded Woman In The World. There is the thought that she paid for my admission. I pretty much remember not wanting to go in. What I absolutely remember, though, was what greeted me inside. Sitting in the middle of the tent on a chair was a tiny, wrinkled woman in a gingham dress. She had some straggly hairs emanating from her chin and cheeks and was looking down at the floor. As we stood in front of her, she looked up and looked me directly in the eye. The stare she gave me hit me hard as I was young and nobody had ever looked at me like that before. I remember her eyes clearly and now, with my adult sensibilities, I can interpret that look as one of anger, resignation, and sadness all in perfect balance, but as I child I just saw pain, the source of which I could not fathom. Because of my upbringing, all of my innocent empathy naively flowed back to her at the same time I became petrified by what was happening. It was a colossal moment in my childhood as fear and sympathy got tangled up in confusion and powerlessness. Then the girl I was with pointed at this small woman sitting in the chair and yelled, “FREAK!” The small woman’s eyes shifted and a weird smile cracked on her face. The girl crushed my hand in hers and, with one of those scream laughs that only children can muster, she pulled me out of the tent. I remember crying. I don’t remember anyone asking me what was wrong or comforting me. Looking back at that memory now, I realize that I was connecting with the humanity of the woman in the chair while the girl I was with was seeing her as an object, a show, a freak. Needless to say, my relationship with those who are “odd”, “off-beat”, “different”, or “weird” has been complicated every since. All of which brings me now, finally, to the review promised in the title of this piece. Pat Kelley’s new book from Hic + Hoc Publications, Fedor, is, at its heart, a sweet and satisfying love story that spans 20 years at the turn of the 20th century. 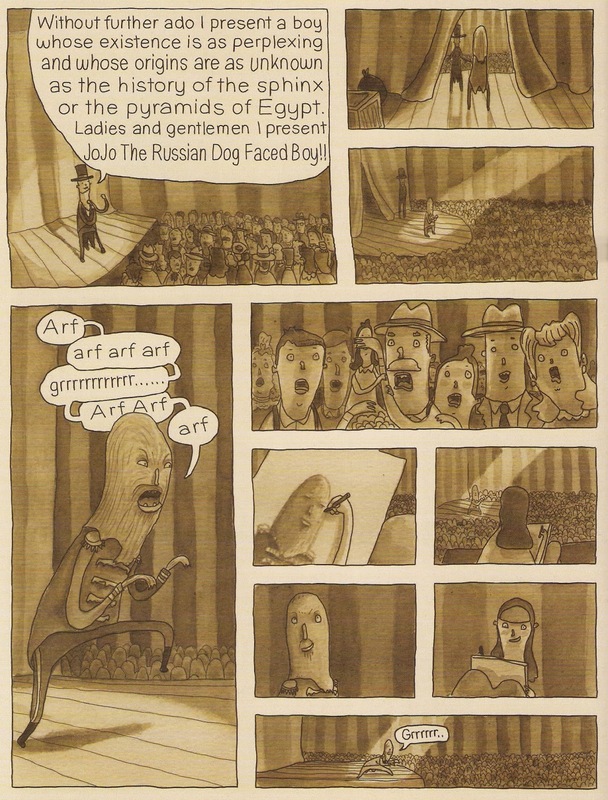 It tells of the fictional romance between the real Fedor Jeftichew, a young man who was famously given the stage name Jojo the Dog Faced Boy by P.T. 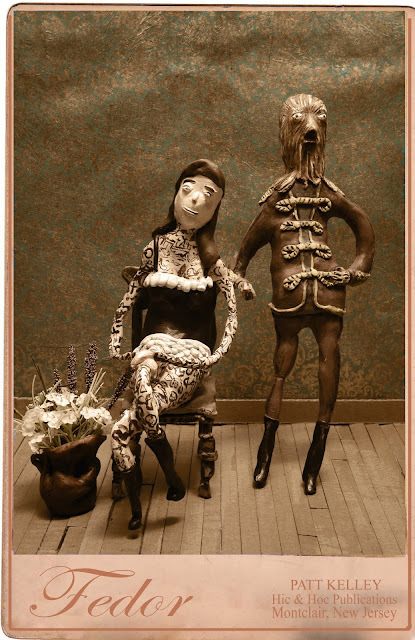 Barnum, and the fictional Helena, “the perfectly normal daughter” of a bearded woman and an alligator man who later chooses to cover herself from head to toe in tattoos. Yes. As much as it is a love story that fits into the historical romance genre, it is also a story about “freaks”. 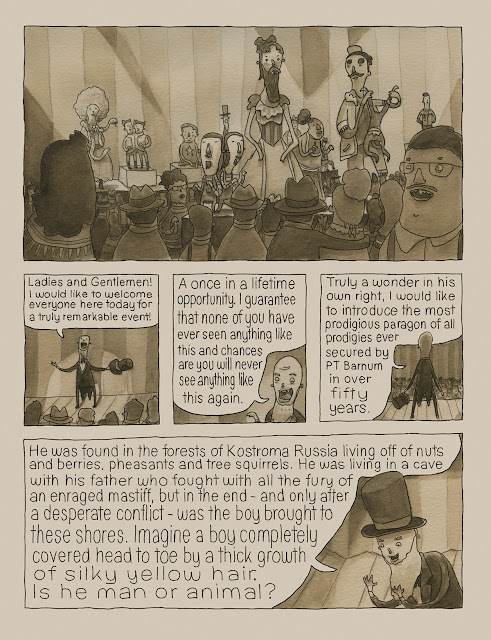 And, in this, Fedor transcends its genre to offer something more, something true and universal. It’s something that I directly related to given my story above, but it’s also something we can all relate to if we are at all human beings. While the concept of “the other” is explored to a degree, as it must when a narrative revolves around “Freaks”, Kelley uses this theme to add emotional heft to the central love story. Certainly Fedor and Helena have an outsider’s life (“You shouldn’t be out in the real world like this. Mixing with us normal people”) and, as such, are able to make commentary on the traditional social order, but it is their “otherness” that magnifies what they share, together, while it also provides the dramatic crux and keeps the reader on their side regardless of what happens. ”For once not let anything get in the way” is the tagline to this story moreso than anything else. Kelley emphasises this by playing with time. Events are not told in chronological order, but rather are arranged to accentuate the dramatic tension. Kelley interrupts the flow of the narrative with flashbacks as a way of developing character and assert the emotional core of the story. Because of this, Fedor requires a bit of a careful read, but that sort of active participation brings the reader further into the story. Fedor is almost like a “What if” fanfic that tells its tale with humor, heart, and soul. You are constantly rooting for these characters as they come together and the final panel is rewarding in a deep and graceful way. By using “Freaks” to tell a truly human story, Pat Kelley is being subversive while being inclusive. In a way, Pat Kelley has created a book for the boy that I was when I stood there in the tent, but really, he has created a book for the man I am today. I think he’s made this book for you too. You can (and should) pick up a copy of Fedor from the Hic + Hoc store. I contributed to a group piece over on Psycho Drive-in regarding the “Official Teaser Trailer” for Quentin Tarantino’s upcoming The Hateful Eight . "All this gets me wondering if this why they call these things “Teaser Trailers”? Is it because they tease you into thinking about all the things that this movie could be? Or is it simply to tease you into wanting to be teased some more before you decided to commit? Whatever. I’m in. Whoever put this teaser trailer together earned their salary today because I’m definitely… um… teased and, by golly, I want more." “You don’t read it. You don’t stare at it. You listen.” I wrote this when David Fairbanks, Keith Silva, and I reviewed InkBrick #2 for Loser City. It is how I understand what happens when an audience interacts with comics poetry. I still stand by this assertion and the recently released third volume of InkBrick bears this out even more. 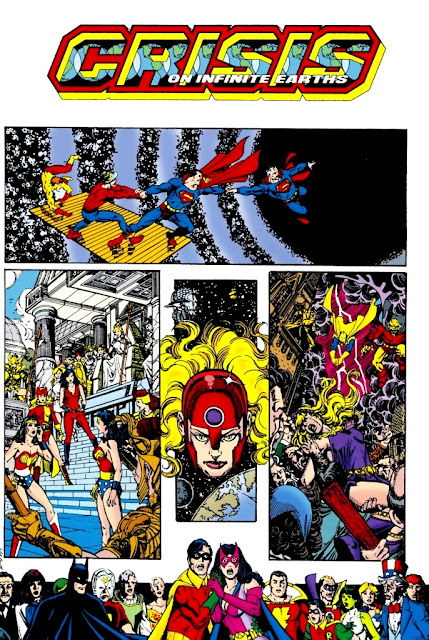 Comics are typically at their best when words and pictures work in conjunction to express plot, character, setting, time, and action. Reading comics is a participatory act, as the reader takes in the information the artists have given him or her, and fashions the communication, makes meaning, understands story. Poetry works in different parts of the noggin. It paints in bright colors with thick brush strokes and asks its audience to feel more than think -- make meaning in the heart as much as the head. Insomuch as they require an active engagement, both of these ways of comprehension are defensive acts. The mind and heart act as a bulwark against chaos, shaping it into understandable and comfortable bites of cognizance. 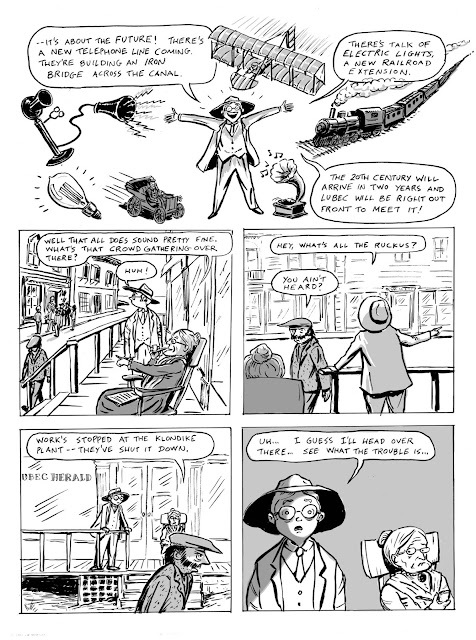 Comics poetry addresses the conversation between the parts of the brain that make both logical and emotional sense of the world. 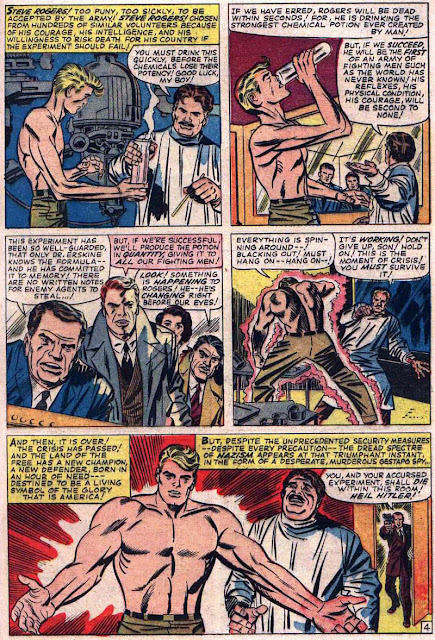 The typical actions in which a reader understands that which he or she is reading must be muted for a moment in the face of comics poetry. To fully engage with it, the reader must lower his or her defenses. Tear down the wall. Break them down. Allow for the chaos to supersede meaning just for a moment. Get uncomfortable, and then get quiet. 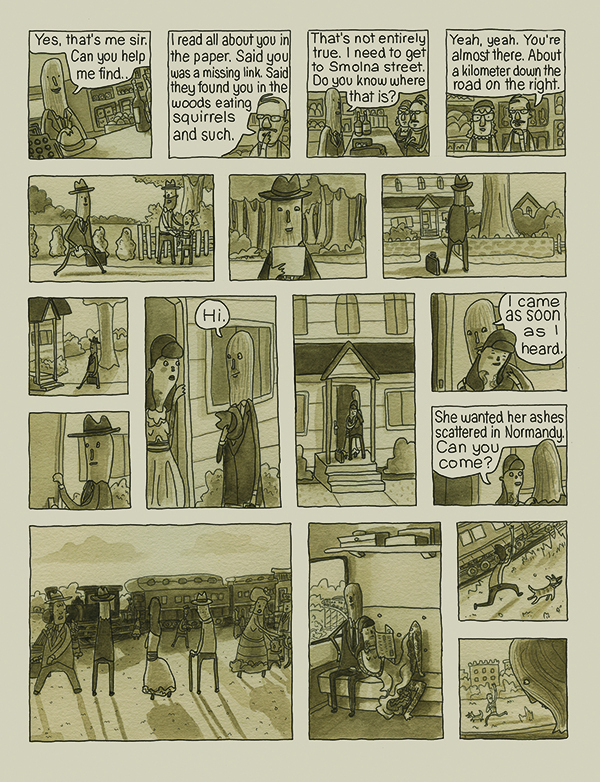 The comics poetry in InkBrick #3 have a lot to say. InkBrick #3 shows an even stronger editorial hand than the previous issue. 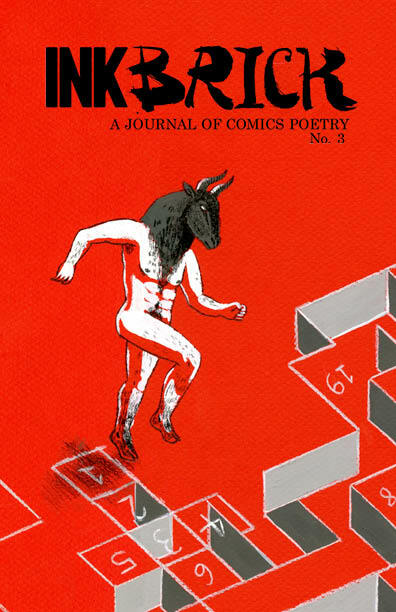 Alexander Rothman, Paul K. Tunis, Alexey Sokolin, Bianca Stone, and Gary Sullivan (all of whom, except Sullivan, have contributions in this issue) have once again culled and arranged an interesting cross-representation of the possibilities of comics poetry. While Rothman (“Play”) and Tunis’ (“Juniper”) contributions lean more towards the “comics” in the comic poetry axis, Sokolin’s contribution “Panopticon” leans more towards the “poetry” edge. 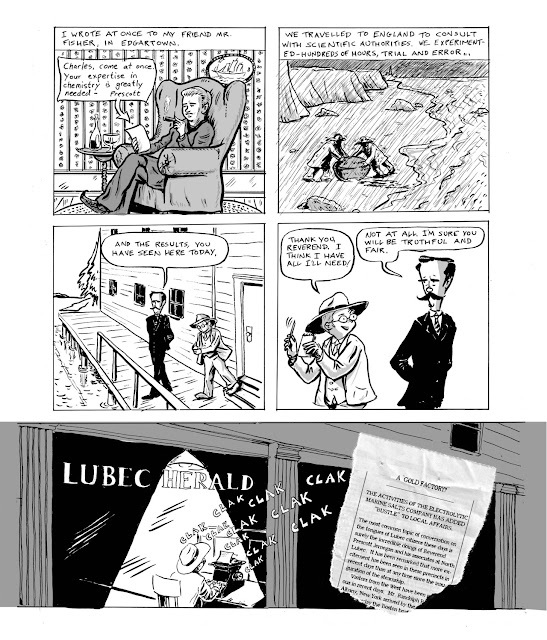 Yet all three sit firmly in the experience of what is comics poetry. One of the most impressive pieces is “The Shrine” by John Swogger. According to the bio information provided in the back of InkBrick, Swogger is an archaeological illustrator who has also published work about Asperger syndrome and is currently working on a book about depression and eating disorders. 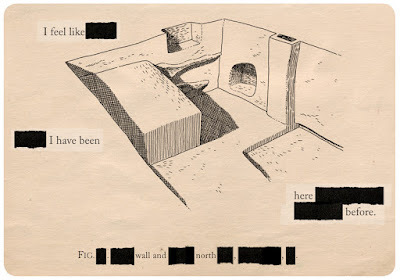 Swogger says that “The Shrine” “is a poem-comic about my work as illustrator at the site of Catalhoyuk, and the visual relationship and interplay between my work there and the site’s visual legacy.” But it’s also a comics poem about the power of place and the effect it has on the individual. What is most interesting it communicates forcefully through what has been removed. 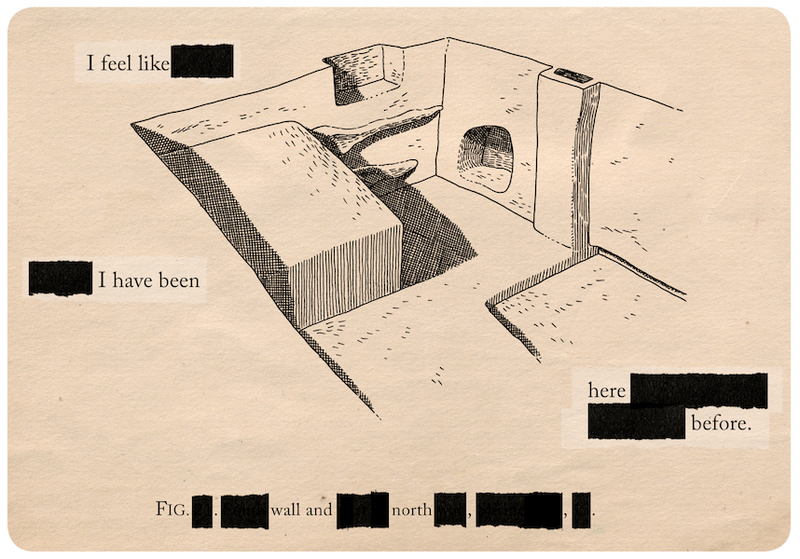 It uses the style of a “blackout poem” and converses through redaction. What is unseen is part of the experience of the poem as much as what is presented. 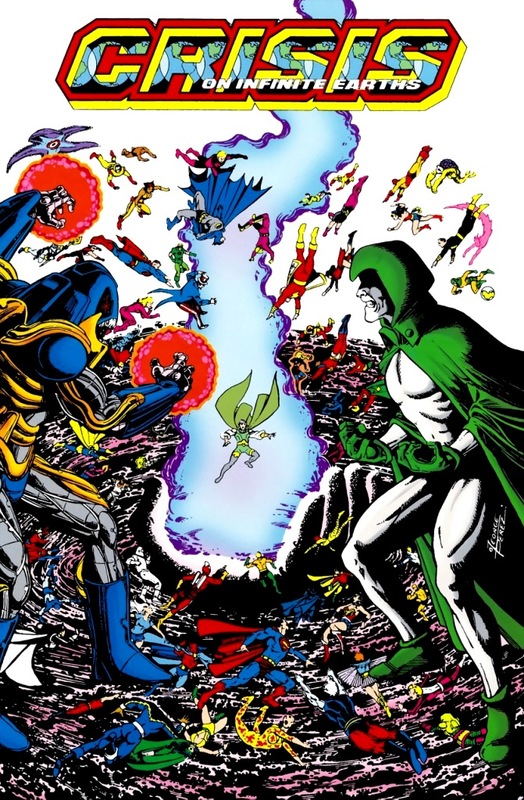 It would not stand as a comic, nor is it particularly powerful as a poem, but as comics poetry it is a work of art. 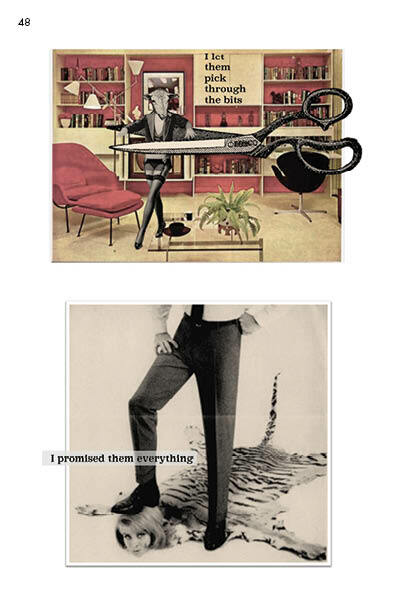 Catherine Bresner’s excerpt from “January 2nd” uses collage as her visual motif. 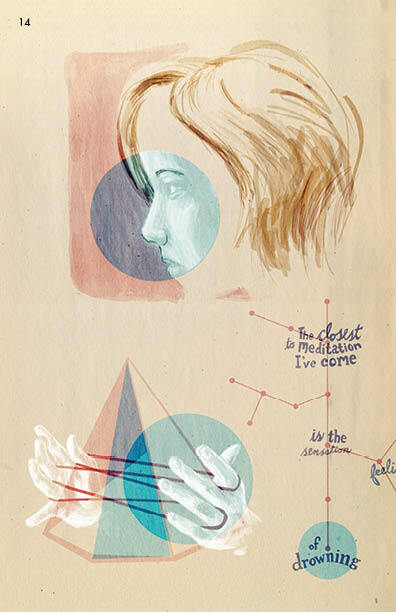 Her crafted and manipulated images are, in effect, labeled with the words of her poem, each panel a piece unto itself, all merging into a greater whole that revels in a certain sad absurdity of resignation. Likewise, Maëlle Doliveux’s piece “Tigridia Pavona” shrouds itself in despondency. A Tigridia Pavonia is an ornamental flower in the iris family that is known for having its blooms last only one day. Doliveux’s comics poem rests entirely on the conversation between the image and the words and its message of regret is hollow and quiet and suffocating. 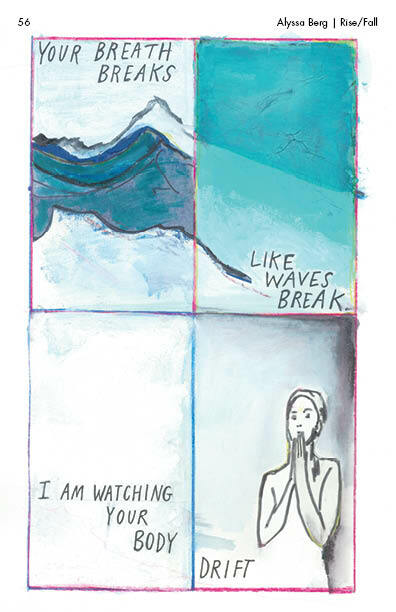 The last contribution in the collection, “Rise/Fall” by Alyssa Berg, is also another instance of the singular aspect of communication inherent only in comics poetry. It is another quiet piece which demands its audience to open itself further than it would were it just approaching a comic or a poem. If you are unfamiliar with comics poetry, InkBrick -- A Journal of Comics Poetry #3 is a good place to start. You can pick up a copy of it, as well as their previous editions, here.